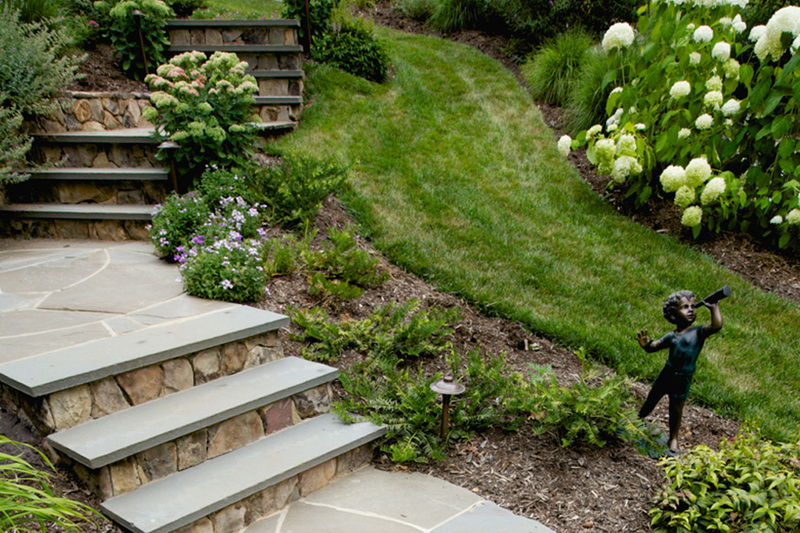 Paths, walkways, and steps are where the practical needs become the focal point of the landscape. Here you’ll find irregular shaped blue stone was adhered by mortar to a 6 inch deep concrete slab with grouted joints. 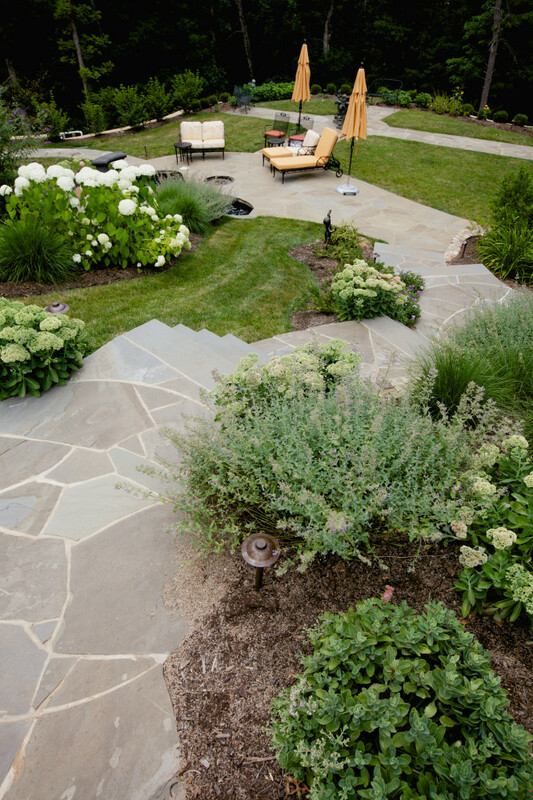 These paths, combined with grade transitioning steps, connected points all around the property. The step risers where veneered with natural stone to match the adjoining natural stone walls.